Start your fresh year off with fresh food from Fox & Fig. 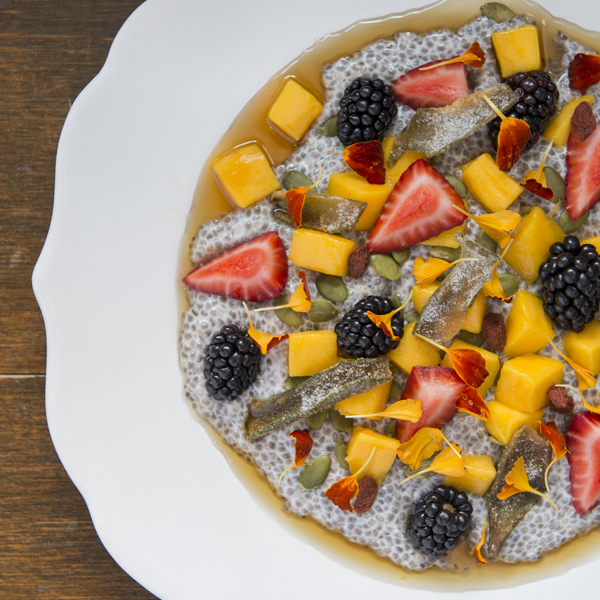 Try our Soaked Chia Porridge made up of coconut cream soaked black chia seeds, blueberries, strawberries, agave nectar, candied lime peel, pepitas, hemp seeds and rainbow micro-greens. We're always cooking up something special so stop in and see what we've got for you!